Data is the most important aspect of a web application. With the evolution of internet and development of high-end web applications, it has become essential to follow the latest development techniques for efficient data management. Every web application requires processing of data and using data handling/storing programs called databases. At present, MySQL is one of the most popular and frequently used databases for development. MySQL has gained popularity for several reasons -- scalability and flexibility are among the primary reasons to use MySQL for web applications. It can manage anything including a website with 10MB data or a complete data warehouse. MySQL Crash Course is an excellent book for new web-application developers and it is a fast-paced course book. The best aspect about this book is that it starts with the basic concepts, including an introduction to databases and basics of MySQL. Once the reader is comfortable, the book advances with basic concepts including sorting, writing queries and use of functions in web development. However, the book is not intended for high-end web applications because it offers beginner level explanation for commands such as COMMIT, BEGIN and ROLLBACK. If you are planning to get started with MYSQL, this is the perfect book for you. As the name suggests, this book is intended for users preparing for MySQL certification. Since an official certification panel prepared this book, it covers every single topic of the certification exam. The book contains exercises for proper practice, although, they might differ from what you may encounter in the examination. It covers all the basic functionalities of MySQL 5.0. Moreover, you can get a CD-ROM along with book covering different exercises for practice. The book is written in an easy to read and digest format, which makes learning interesting. You can also learn about the upgrades in 5.0 version, especially for enterprise development. The author Paul DuBois is a part of the documentation of MySQL, hence the level of expertise is quite evident in the book. Every single aspect of MySQL is discussed in detail including data types, security, access control, query optimization tips, MySQL programs with PHP and data dictionary. The book has user-friendly design and includes examples related to every topic. It is a complete guide to MySQL and anyone planning to get started in MySQL development, this is the right book. This book is useful for both experienced and beginner level programmers. It also includes some of the most common security risks encountered by enterprise web applications and best practices to protect them. If you are an intermediate level programmer planning to learn the best practices for MySQL development, this is the perfect book. The book discusses advanced techniques for indexes, schemas and query optimization. For potential programmers, this book will help in understanding best practices for scalability and related issues such as load balancing, failover, replication and availability. This book is created with a precise balance between practical and theoretical knowledge. You can learn about best tools for diagnosis and suggestions to resolve any such performance issues. This book is optimally suited for developers looking for a comprehensive learning experience. In the current development environment, developers often club open-source tools such as PHP and MySQL together for developing web applications. This book explains best practices for PHP and MySQL programming. The sample example codes in the book works smoothly and can help in getting started with web application development immediately. This book can help in understanding the latest developments in the field, especially if you are preparing for a PHP job interview. MySQL has emerged as one of the best platforms for web applications. 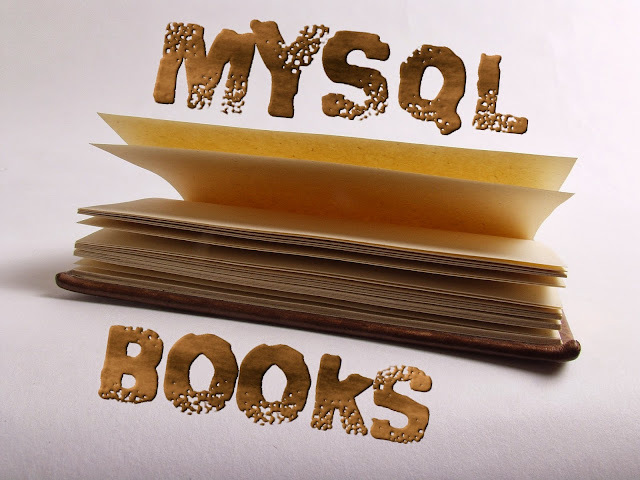 If you are planning to be an efficient MySQL programmer, you should definitely go through these books to improve your programming and database skills.